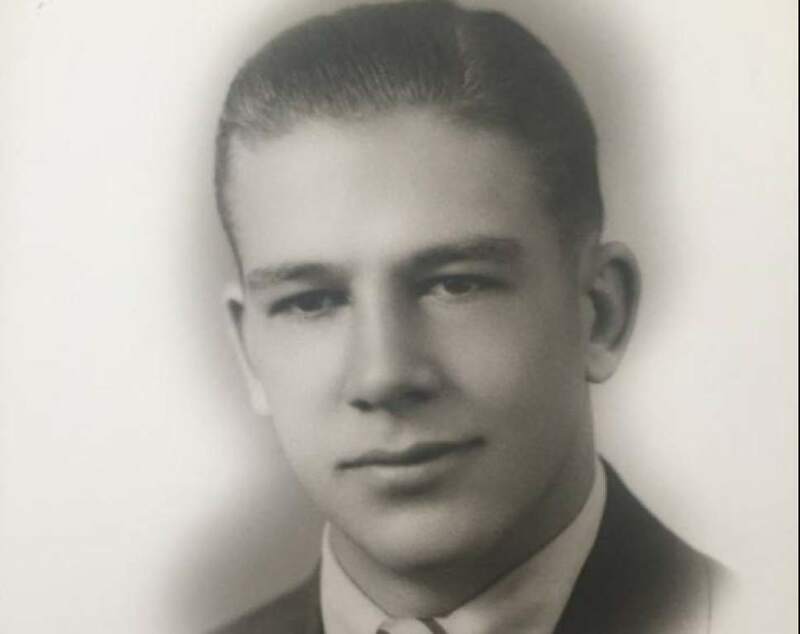 Man died in USS Oklahoma bombing; remains were found in a burial site of unidentified bones. | Courtesy Lisa King Navy Muscian 1st Class Elliot D. Larsen, was killed at Pearl Harbor. Tribune file photo The U.S.S. Oklahoma returns to port in San Pedro, Calif., following six weeks of secret maneuvers in the Pacifi Tribune file photo The USS Oklahoma rests capsized as smoke rises from the USS Maryland shortly after the Japanese attack on Pearl | Courtesy Lisa King Navy Muscian 1st Class Elliot D. Larsen, was killed at Pearl Harbor. | Courtesy Lisa King Navy Muscian 1st Class Elliot D. Larsen, was killed at Pearl Harbor. | Courtesy Lisa King Navy Muscian 1st Class Elliot D. Larsen, was killed at Pearl Harbor. Tribune file photo The U.S.S. Oklahoma returns to port in San Pedro, Calif., following six weeks of secret maneuvers in the Pacific in 1938. Tribune file photo The USS Oklahoma rests capsized as smoke rises from the USS Maryland shortly after the Japanese attack on Pearl Harbor Dec. 7, 1941. The U.S. military confirmed Friday that Navy Musician 1st Class Elliot Larson of Utah died when the Oklahoma was sunk. | Courtesy Lisa King Navy Muscian 1st Class Elliot D. Larsen, was killed at Pearl Harbor. | Courtesy Lisa King Navy Muscian 1st Class Elliot D. Larsen, was killed at Pearl Harbor. After decades of uncertainty, the Utah family of Navy Musician 1st Class Elliott Larsen finally has its answer. U.S. military officials on Friday announced that Larsen died on the USS Oklahoma, which was moored at Pearl Harbor on Dec. 7, 1941, when Japanese bombers attacked. The body of the 25-year-old Monroe resident was never found. Some family members assumed that he was a casualty of the attack, but they weren&apos;t sure. For several years his parents held out hope that he may somehow still be alive. 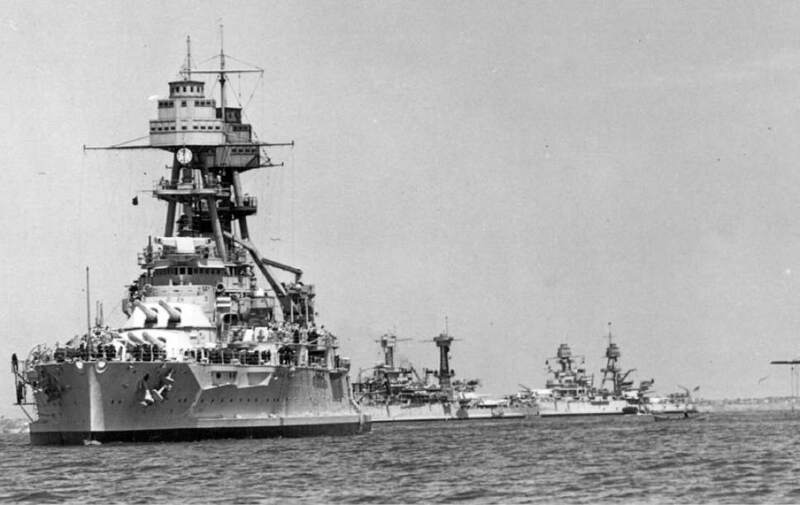 A recent DNA analysis by the Defense POW/MIA Accounting Agency confirmed that some of Larsen&apos;s remains were among a larger burial site of unidentified bones from the USS Oklahoma bombing. A DNA sample from Larsen&apos;s skull was a match to his 95-year-old sister, Betty Lou Worley, and his niece, 59-year-old Lisa King. The women, both Monroe residents, provided DNA samples in 2011 at the Navy&apos;s request. The women didn&apos;t hear anything for years. They figured they might never know the fate of their brother and uncle. But in February, King got a call from a Navy official who broke the news: Scientists had found a skull among other unidentified remains from the USS Oklahoma, unburied from a cemetery known as the Punchbowl in Honolulu. Larsen&apos;s remains are to arrive in Utah on Thursday, and a funeral is planned for Friday morning at Monroe City Cemetery. "She had those tears coming down, and a smile on her face, because she didn&apos;t ever dream of this happening," King said of her mother. King said her uncle was a brilliant and loving man, well-known for his musical talents. 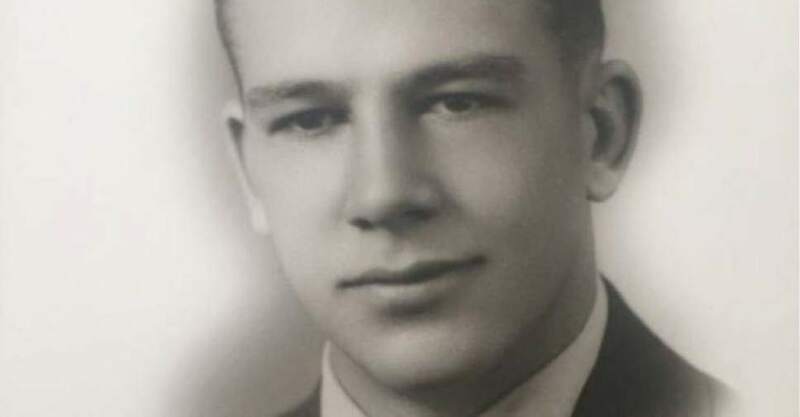 He played baritone horn in the Navy band, and had traveled the world on the USS Arizona and USS Oklahoma in the six years directly preceding his death. 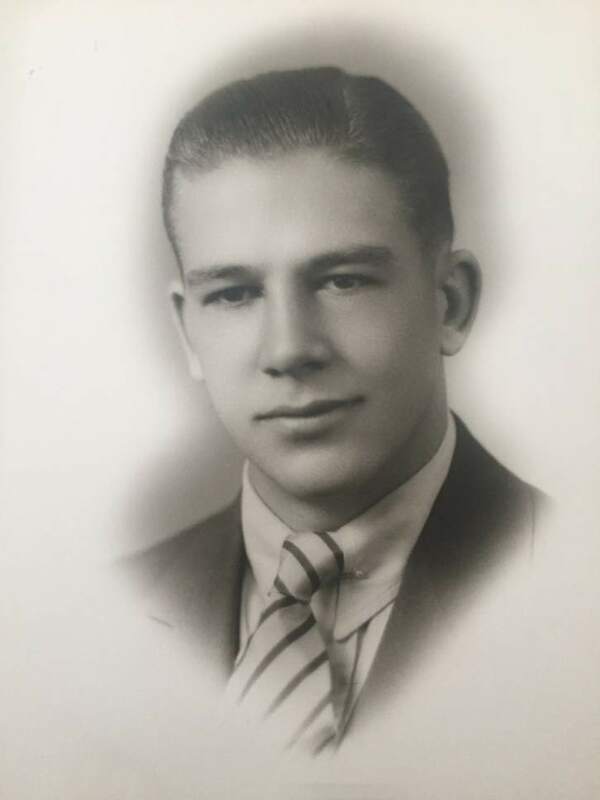 Larsen graduated from high school in Monroe and attended Idaho State University for a year before entering the Navy. He was engaged to be married at the time of his death, King said. And he was so close to avoiding the surprise Japanese attack on Pearl Harbor altogether. Larsen had been released to head home for the holidays the day before, King said, but he opted to stick around the ship a couple of extra weeks to wait for several friends. 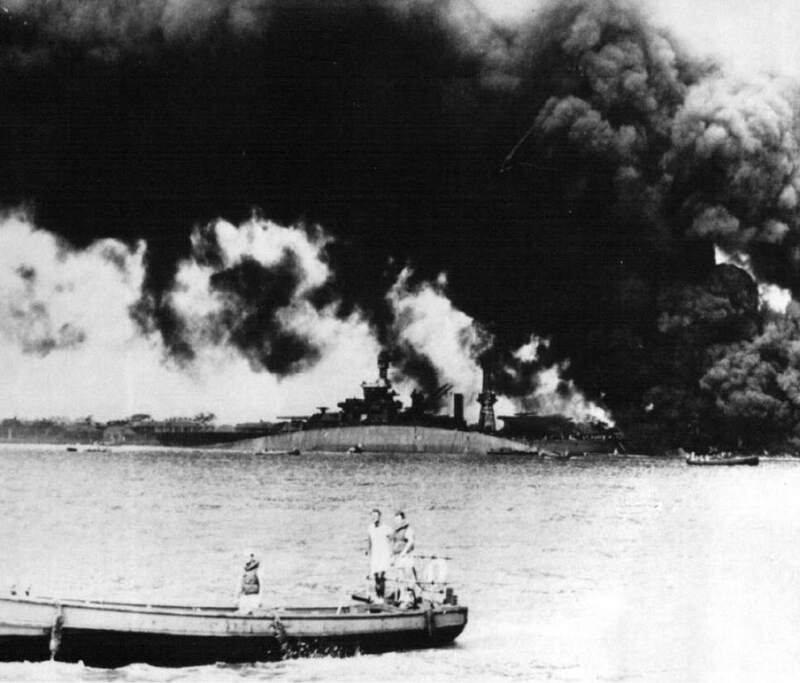 Japanese torpedoes struck the USS Oklahoma, causing it to capsize. The attack killed 429 crewmen  the most of any vessel at Pearl Harbor other than the USS Arizona. For three years after the attack, Navy personnel recovered and buried remains of the crew. In 1947, officials unburied the remains and moved them to a central identification laboratory, where 35 men from the USS Oklahoma were identified. The unknown remains were buried at the National Memorial Cemetery in Honolulu, also known as the Punchbowl. They were labeled "non-recoverable." But in 2015, the U.S. military ordered remains of those associated with the USS Oklahoma to again be exhumed for analysis. Scientists used mitochondrial DNA analysis, as well as dental comparisons and other evidence, to match Larsen to his sister and niece. More than 73,000 service members are unaccounted for from World War II. Larsen no longer is one of them. "We&apos;ve had a headstone in Monroe ever since he passed away," King said. "Now we have something to put with it."